This was how Sayyed Hassan Nasrallah spoke that day. He barely completed his second year as the party’s Secretary General. The party barely completed its second month devoted to the principle of “A Katyusha for a civilian”. He emerged as the resistance, with his head raised up before “Israel’s” “reckoning operation” (the seven-day aggression). This happened in 1993. Yitzhak Rabin, like his predecessor, Shamir, understood that he was facing “Arabs of another kind”. The other Arabs had a different opinion. The Lebanese government, for example, has decided to reward the resistance. The Lebanese army opened fire on a popular demonstration organized by Hezbollah in [Beirut’s] al-Ghubairi area – just like that “without a reason”. It was a political decision par excellence. It was not an armed demonstration. They were all civilians. It resulted in nine martyrs and dozens of wounded. Women and men took to the streets to protest the Oslo Accords. They were just chanting. They were a rare group that was still raising its voice, at the time, against the “‘Israeli’ entity”. They wanted Palestine, all of Palestine. They were strangers in an area whose rulers had decided to adopt the “Madrid decisions” (for peace). Their land was occupied – southern Lebanon was occupied – and they resisted but out of sight. There was something about this group that always made them look ahead. “We Shall Not Forget September”. “O Shura, O the best, we want to fight”. It was later reported that the Coca-Cola company in Lebanon expelled some of its employees because they participated in the funeral of the martyrs. It was also said that the late Sayyed Mohamed Hussein Fadlallah issued a fatwa to boycott that company. Fadlullah prayed on the bodies of the martyrs in Al-Rida Mosque in Bir Al-Abed and behind him was Nasrallah as well as a lot of angry people. 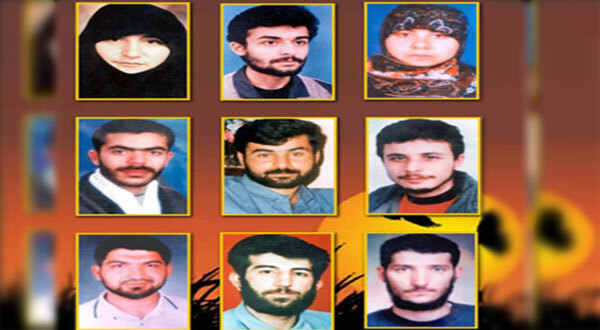 Generations grew up to the song “Glory to the Martyrs of September”.